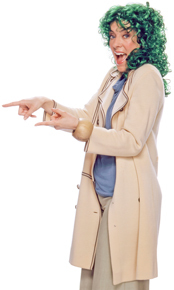 At KIWI, we want you to get the very best value on carpet cleaning. That’s why we offer a special discount for those who visit our website. When you call KIWI, let us know that you saw this special offer online and we’ll give you 40% off the cost when you have at least three areas cleaned. Plus, we’ll throw in our famous KIWI Lover One-Year Warranty, which gives you a full year of unlimited carpet cleaning visits at just $4 per room, plus a small trip charge. That’s a great value that you won’t get from any other company. We also offer military and senior citizen discounts. Plus, you can check out our limited-time offer discount coupons for more ways to save on your carpet cleaning service. Remember: when you choose KIWI you get a full-service visit with no extra charges for moving furniture, vacuuming and pre-treating your carpet. 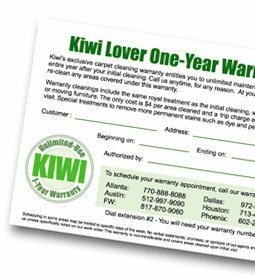 And after your initial visit, you get the incredible KIWI Lover One-Year Warranty for affordable and convenient carpet cleaner visits year-round. How good are our prices? Just ask our customers. We are committed to making your home beautiful all year long. Call KIWI Services today to take advantage of our special sale and schedule an appointment with one of our friendly home care consultants today! equipment including TV’s, VCR’s, stereos or computers.